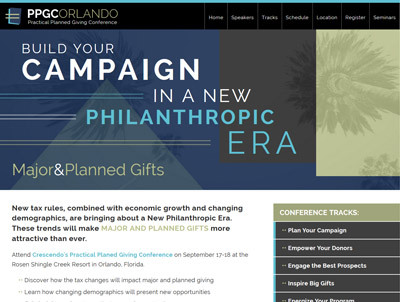 Learn how to increase major and planned gifts at Crescendo's annual Practical Planned Giving Conference. Meet industry experts and discover the latest developments in charitable planning that will help you inspire your donors to give. 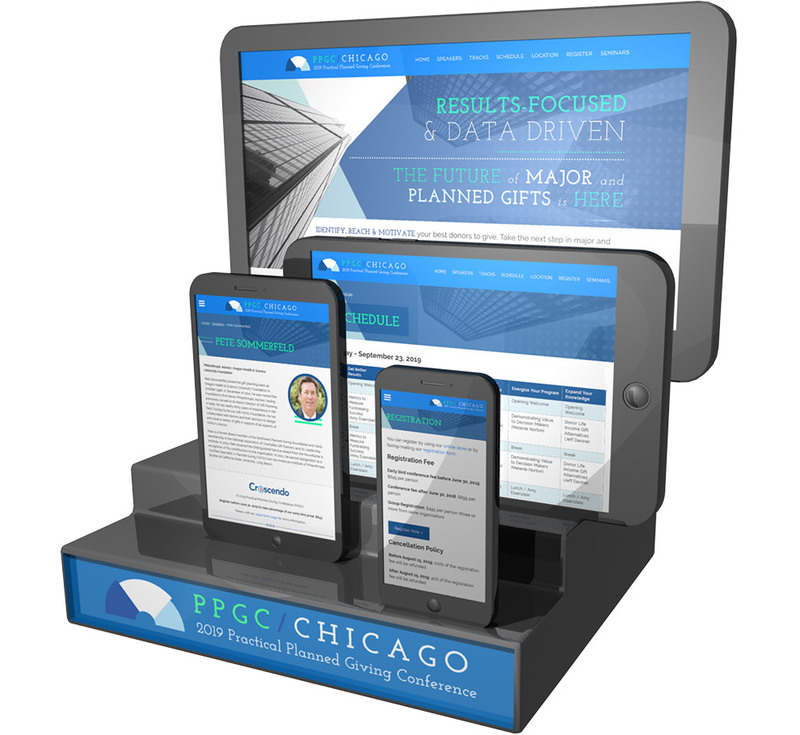 Results-Focused & Data-Driven: The Future of Major and Planned Gifts is Here. Identify, reach and motivate your best donors to give. 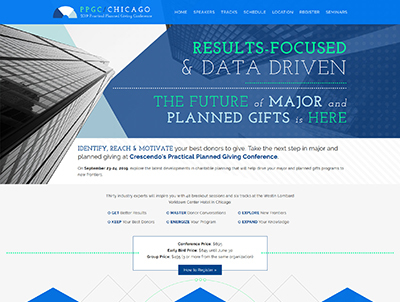 Explore the latest developments in charitable planning that will help drive your major and planned gifts programs to new frontiers at the Westin Lombard Yorktown Center Hotel in Chicago on September 23-24, 2019. Crescendo celebrated its annual Practical Planned Giving Conference on September 17th and 18th, 2018 in Orlando, Florida. It was Crescendo's largest user conference attended by friends from all across the nation. They gathered to hear keynote speakers Gail Perry and Elizabeth Ayers and an excellent line-up of the nation's top presenters. 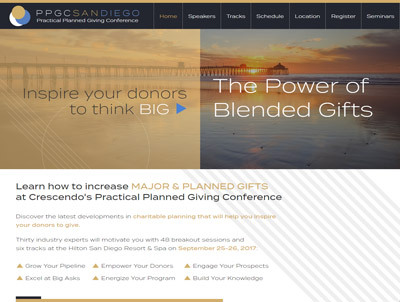 Crescendo celebrated its annual Practical Planned Giving Conference on September 25th and 26th, 2017 in San Diego, CA. It was Crescendo's largest user conference attended by friends from all across the nation. They gathered to hear keynote speakers Paul Schervish and Jackie Franey and an excellent line-up of the nation's top presenters. 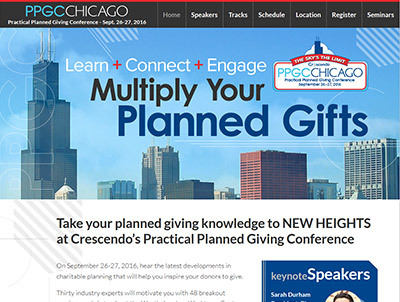 Crescendo celebrated its annual Practical Planned Giving Conference on September 26th and 27th in Chicago, IL. It was a great event attended by friends from all across the nation. They gathered to hear keynote speakers Sarah Durham and Jeff Comfort and an excellent line-up of the nation's top presenters.